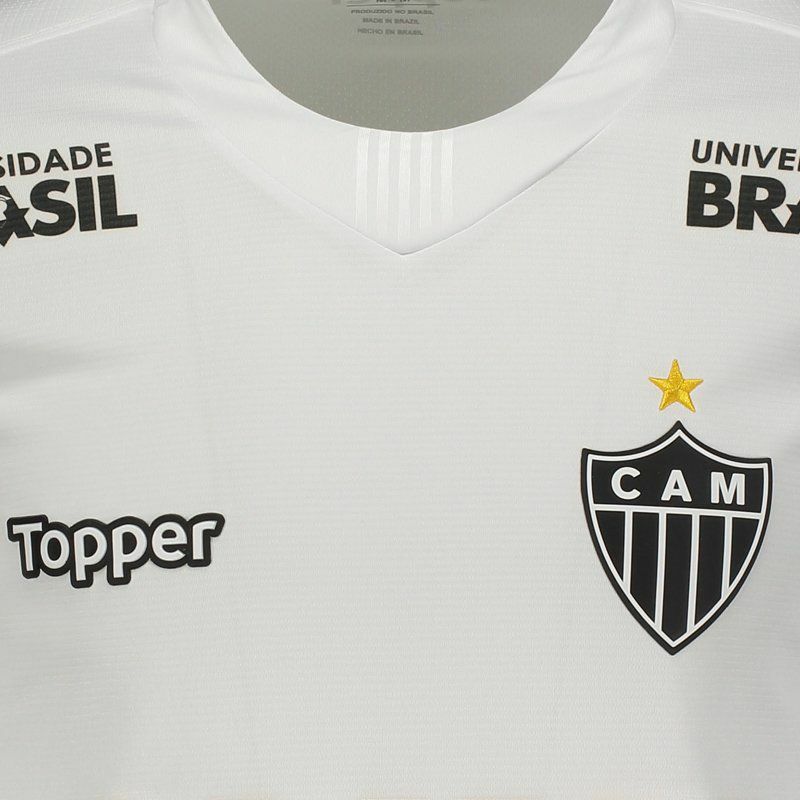 Elaborated by Topper, Atlético Mineiro Away Jersey for 2018 brings name and number (11) of the player Chará customized. The piece is made of lightweight polyester and features small mesh breathable fabrics that help remove sweat from the body. More info. 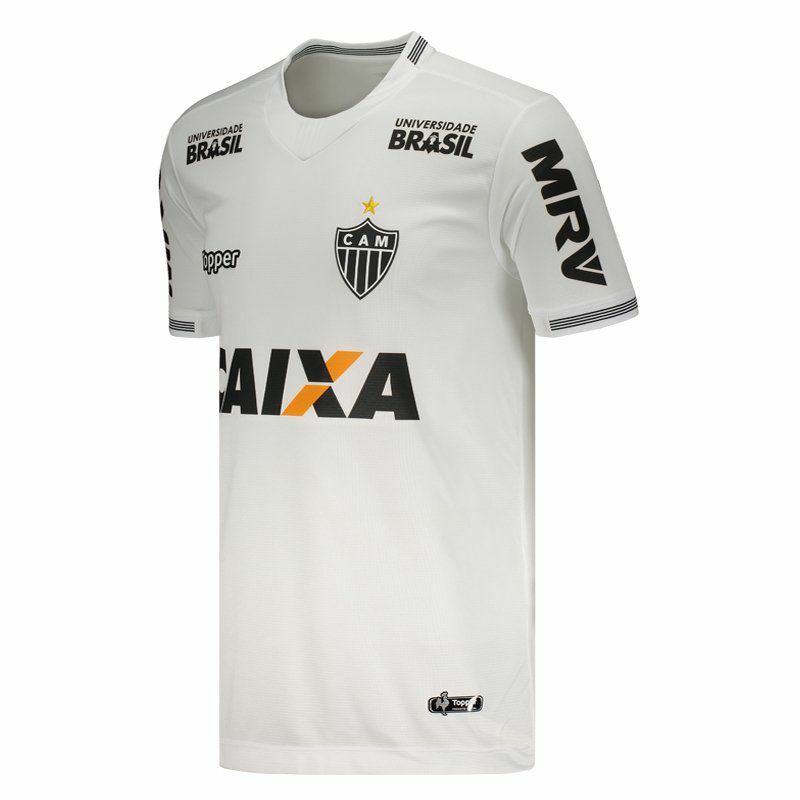 Elaborated by Topper, Atlético Mineiro Away Jersey for 2018 brings name and number (11) of the player Chará customized. The piece is made of lightweight polyester and features small mesh breathable fabrics that help remove sweat from the body, leaving it fresh and airy. Its design is entirely white and brings low relief effect throughout structure. There is also black detailing on the crew neck collar and cuff of sleeves which feature a ribbed finish for a better fit. In addition, the badge and the logo of the mark are seen fixed in vinyl in the chest. 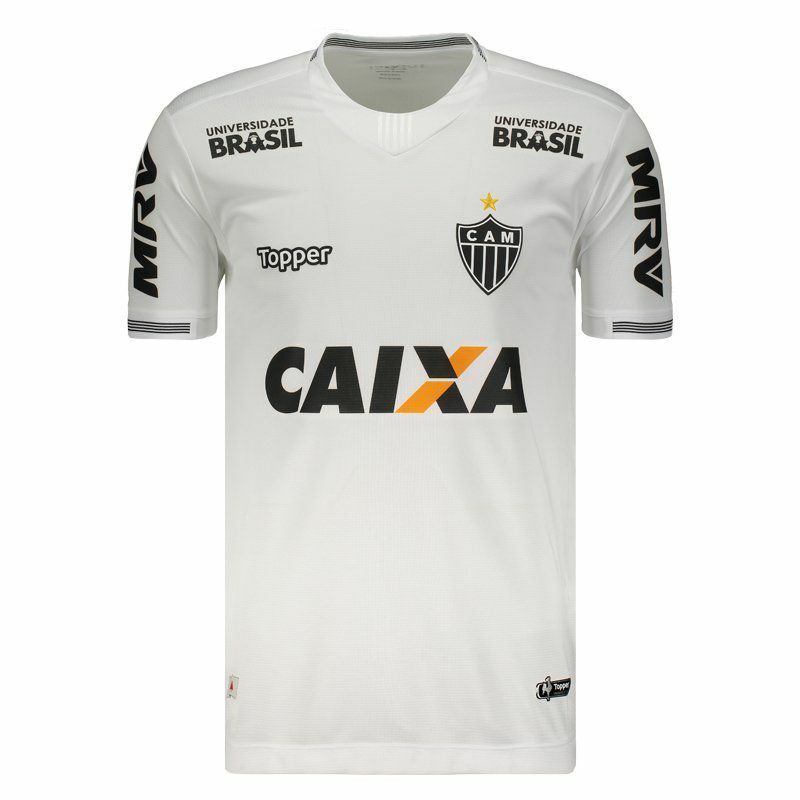 Finally, it has the flag of Minas Gerais applied at the bottom right and completing the details, stamp of sponsorships are seen throughout the piece. 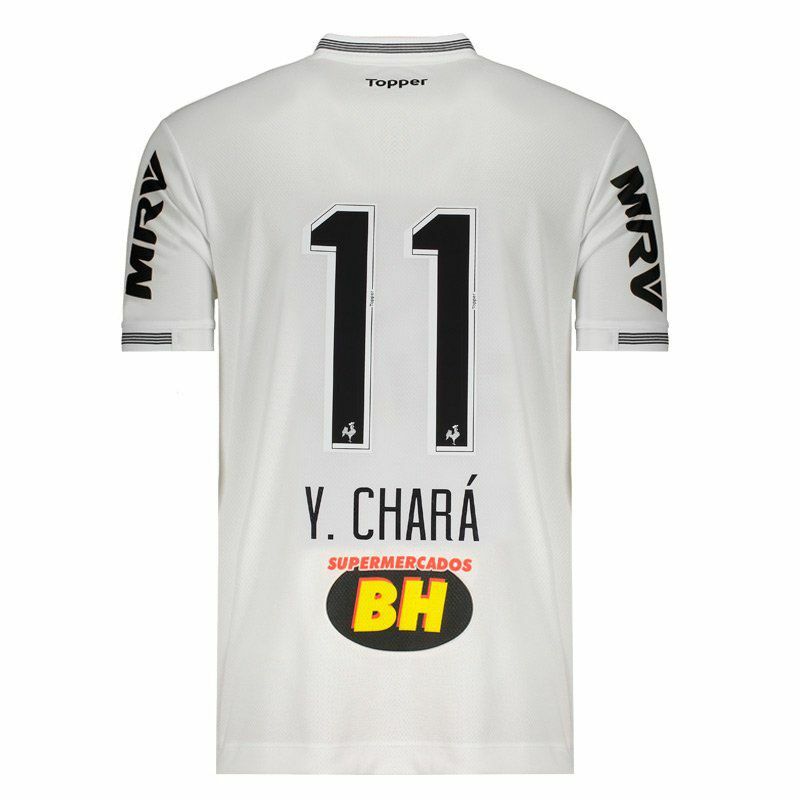 Yimmi Javier Chará Zamora is a Colombian soccer player who acts as an forward and half forward. The main characteristics of the player are speed, acceleration, dribble, movement and final pass.